A look at what controversial talk show host Ann Coulter said during a recent Bay Area visit. Security was tight when conservative and controversial talk show host Ann Coulter made a Bay Area appearance Tuesday night. Coulter spoke at the IFES Society Community Center in Mountain View. The sold out event was organized by the Liberty Forum of Silicon Valley, formerly known as the Conservative Forum. Upon taking the stage in the South Bay city, Coulter said, "It's great to be in San Francisco." Police had a visible presence at the event, and signs in the area alerted people of the temporary restrictions. In her talk, Coulter spoke about immigration, President Donald Trump and California. "California is a beautiful state in the union, it's just sad," she said. "But I have a plan. We regretfully either allow California to secede - I think Trump would agree - and sell it back to Mexico!" On the subject of immigration, Coulter chose a Silicon Valley connection. "Mark Zuckerberg doesn’t want anyone coming in that can compete with his kid," she said. "He wants someone who can compete with his landscaper." She added: "Our immigration policy is anyone who lives within walking distance. ... Not only do illegal aliens get to come here, but they get to bring their cousins too. We wouldn’t want them to be poor, unskilled or lonely." Coulter's speech last year was canceled at the University of California, Berkeley after the sponsoring group pulled out. Threats of violence were also made ahead of the planned Berkeley event, which would have featured other conservative pundits. Security will be tight when conservative and controversial talk show host Ann Coulter makes a Bay Area appearance Tuesday night. Bob Redell reports. 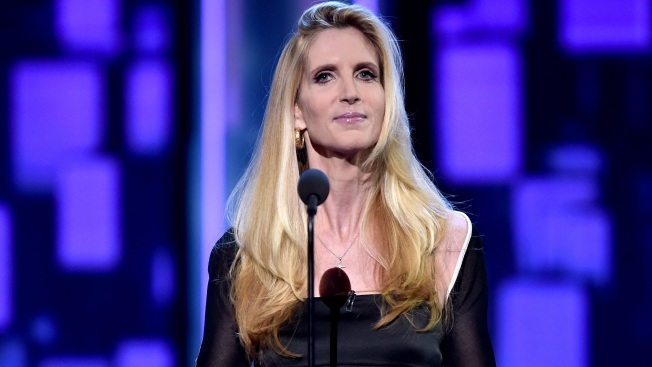 Authorities said Monday there were no reported threats ahead of Coulter's Mountain View visit.